This month’s girls lunch was at Greek Marina at the request of the birthday girl. Greek food is so delicious yet it seems there aren’t too many Greek restaurants around town. 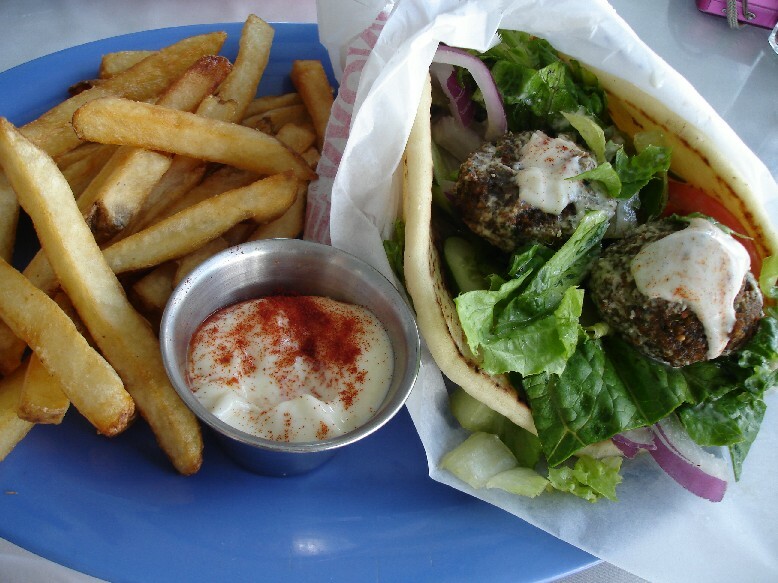 Greek Marina is one of the few, located in Koko Marina Center in Hawaii Kai. 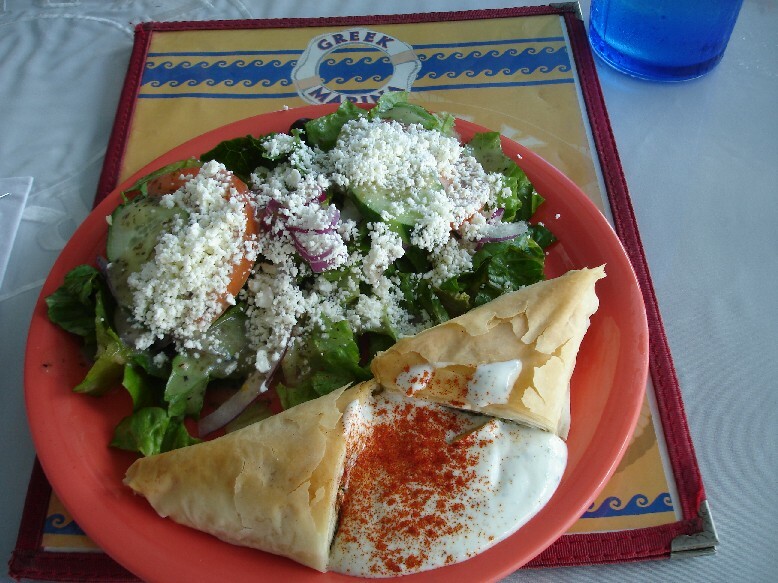 We shared an order of Spanakopita (spinach and feta cheese wrapped in Phylo dough; $4.95) as an appetizer. Then I got the Falafel Sandwich served with fries and garlic mayo ($9.95). 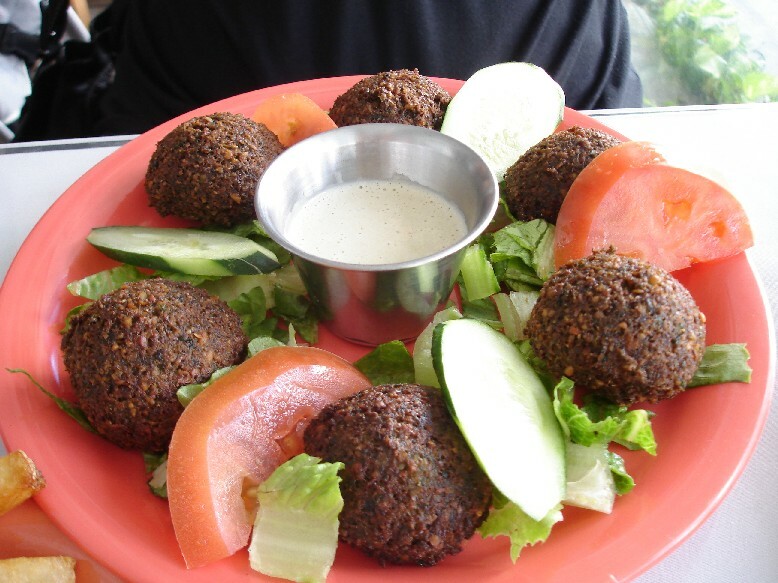 Falafel is sort of like the vegetarian equivalent of a meatball, made with ground chickpeas, parsley and spices and deep-fried. Yum! And my friend’s order of just the Falafel ($6.95). With indoor and outdoor seating and views of the marina, it’s a very relaxing place to have lunch. After lunch, you can stroll over to Kokonuts for some shave ice or to Bubbies for mochi ice cream.